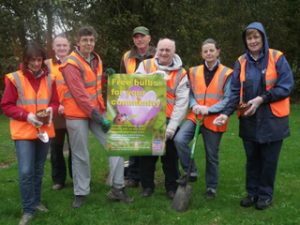 Action Castle Eden (ACE) is a constituted community group formed in April 2011 by a group of local residents, supported by the Parish Council, to undertake activity to improve the village and encourage community spirit. We meet every month on the second Thursday in the Castle Eden Cricket Club, please view the ACE meetings diary if you would like to find out about our next meeting. The minutes from our meetings, once approved, are published on this website to view or download. Come along and find out more. If you want to see what we are up to in the next few weeks and months then view the ACE Events and if you want to get involved or find out more then contact us, anyone living in the village or with an interest in the village are welcome to join us and get involved.